President Trump has never been coy about feelings towards John McCain, the longtime Arizona senator who died in August. Some of the tension boiled in 2015, when Trump said McCain was "not a war hero. He was a war hero because he was captured. I like people who weren't captured," echoing a comment once made by right-wing pundit Ann Coulter. Months after McCain's death, Trump has not ceased with his personal attacks. Trump on Tuesday said he "was never a fan of John McCain and I never will be." One Republican senator said he will stand up to the president. In an interview posted Wednesday on the conservative website the Bulwark, Sen. Johnny Isakson of Georgia said "the country deserves better" and that he was going to give Trump a "whipping." "I don’t know what is going to be said in the next few days about John McCain by whomever is going to say it or what is going to be done, but anybody who in any way tarnishes the reputation of John McCain deserves a whipping because most of those who would do the wrong thing about John McCain didn’t have the guts to do the right thing when it was their turn," Isakson said. 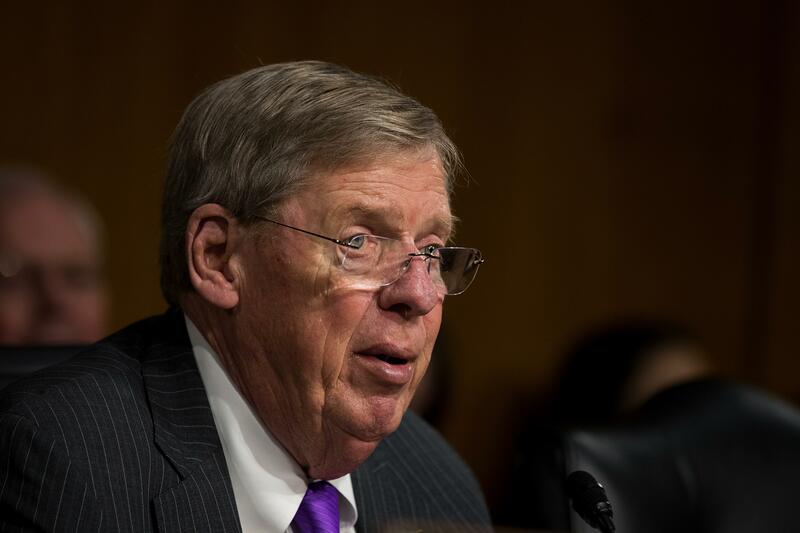 Isakson, who has served in the Senate since 2005, plans on speaking on the Senate floor Wednesday about Trump's attacks on McCain. Sen. Mitt Romney of Utah and Sen. Lindsey Graham of South Carolina have also come to McCain’s defense amid Trump's attacks. "I can’t understand why the President would, once again, disparage a man as exemplary as my friend John McCain: heroic, courageous, patriotic, honorable, self-effacing, self-sacrificing, empathetic, and driven by duty to family, country, and God," Romney posted on Twitter. Senate Majority Leader Mitch McConnell also shared his respect for McCain. His Twitter posting was retweeted by McCain's daughter, Meghan McCain.